Although I had heard of ePortfolios before completing the reading for my Digital Rhetoric course this week, I had never really thought about them before, or seen one in action. I suppose this blog (and the other ones produced and managed by my fellow students and professor) count(s) as an ePortfolio, so I can now say that I’ve not only read about them, I’ve experienced them! 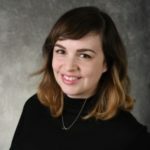 The Writing Department at Stony Brook uses ePortfolios as a major assessment, so I’m happy to have experienced this end of things before teaching a writing course at SBU. In this week’s post I want to highlight first a few of the benefits of ePortfolios, as well as provide a definition for the term. Thinking about ePortfolios, particularly Lauren F. Klein’s “social ePortfolios,” made me believe that educators and academics should also create their own ePortfolios. Therefore, the very end of this post briefly analyzes Humanities Commons, an online network and repository for humanities academics (and the home of this blog), as an example of an ePortfolio hub for scholars. As Kathleen Blake Yancey notes in her chapter “Portfolios, Circulation, Ecology, and the Development of Literacy,” the creation of portfolios has been present within writing education for years. Rather than provide isolated assessments of student writing, portfolios instead encourage an awareness of the reiterative nature of the writing process. Within the portfolio, students may include numerous drafts of a single piece, assignments from across courses, and reflective writing which describes his or her continuing growth as a learner. The portfolio also gives students a sense of authority as they act as curator and creator. Students can be empowered by what Klein views as the “egalitarian nature of the ideas and content produced through social media” (59). Students are able to connect with tangible audiences, both within and beyond their classroom (59-60). Students can collaborate with others easily in creating co-authored ePortfolios, sites, blogs, etc (60). “…students become more inclined to express themselves in their own voices rather than in the register of “clarity” they believe is required of them in the academy” (60). The ePortfolio is a hyper-textual object, and therefore links out to other sites, as well as a multimodal object, allowing for students to develop their literacy in multiple media types (61). To Klein’s points, I would add that (perhaps because of these five benefits) ePortfolios allow for more authentic and purposeful writing. Students both control what is put into the ePortfolio, as well as how the ePortfolio is designed, often with a focus on employers as a potential audience. With a greater feeling of ownership and purpose, students are more likely to care about what they include in their ePortfolio. “Analytical Ability”- students are able to reflect on their learning and plan for future development (69). “Intellectual Leadership”- Students convey their ability to partake in intellectual conversations through the comment section of ePortfolios (70). “Creativity”- Students are given the freedom to experiment with the design, content, and focus of their ePortfolio (70). Through my work on this blog, I discovered that I unfortunately feel like this when I write on Microsoft Word. The ease of writing for a blog (ePortfolio) also allowed me to tackle a number of readings, topics, and questions which I otherwise would’ve only been able to write about had I written a full article. Otherwise, my thoughts on these topics (like this one) would be lost. I appreciate how easy it will be to return to my posts later should I ever want to write further on these issues or teach them. As I stated in my “Introductions” post, I already planned to continue using this blog to help me prepare for my comprehensive exams. At the time, I felt like I had to make that statement public in order to hold me accountable. I was nervous that writing without also partaking in hefty research would be impossible or painful. I now see how easy, fun, and beneficial it is to discuss just 2-3 texts in conjunction with each other. I no longer need to be held accountable; I can’t imagining preparing for the exams without this blog! For me, the ePortfolio model is definitely sustainable (as Yancey hopes). As I was able to see clearly the benefits and purpose of continuing this process, I will happily continue. I really like the idea of updating the teaching statement through remediation. When I had to put together a teaching portfolio in order to receive tenure as a NYC public school teacher, I couldn’t believe the amount of pages I had to print, copy, collate, etc. A digital copy is way more realistic and easier to handle. Plus, the analog portfolio prevents continued reflection. If we are instructing our students to construct an ePortfolio, shouldn’t we also have one? Along with the advantages of practicing what we preach, the educator/academic ePortfolio would allow teachers to gain some of the benefits which their students enjoy as a result of the practice. The top of my Humanities Commons Profile. 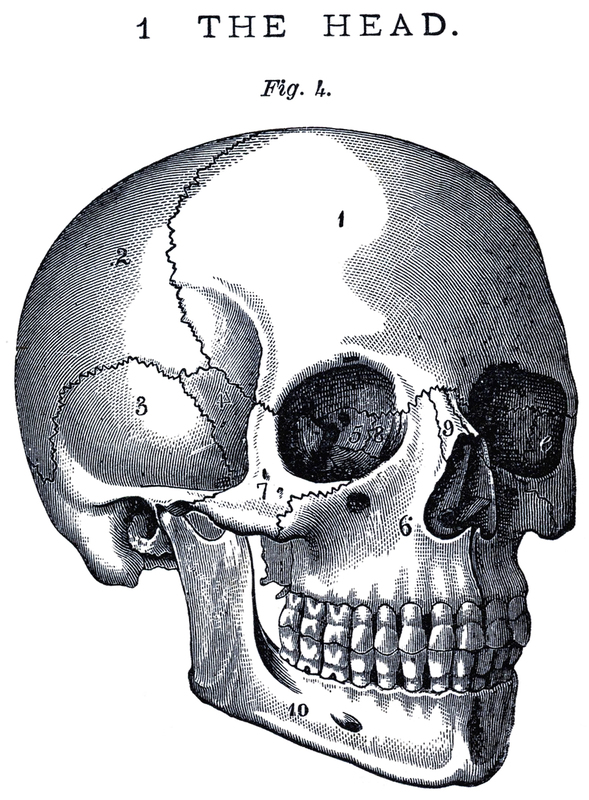 Humanities Commons allows academics to create blogs like this one, as well a profile page. What I appreciate most about HC is that it links social media affordances to more professional self-presentations. Along with the HC profile page (which is very similar to those found on Facebook), HC allows users to follow each other and to join interest groups where discussion and collaboration can take place. 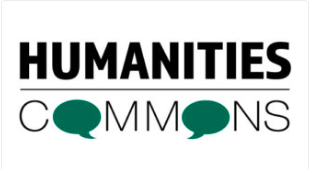 It is through the inclusion of social media that Humanities Commons creates a space online for academics that is not only professionally-driven, but also social and personal. Through it, I’ve been able to connect with other like-minded academics from across the globe, as well as to find a great number of open-access materials (articles, white papers, syllabi, lesson plans, etc) from HC’s repository. What are some challenges or limitations to the ePortfolio assignment? The only problems I can foresee include grading policies (how can educators judiciously assess such diverse products?) and privacy issues (I know that there are options to make ePortfolios more or less private, but would that defeat the purpose if it has no audience save for the creator and his or her teacher?). How can we encourage students (like me) to use the authentic voice that they may discover through their blog or ePortfolio in their more academic writing? How can we as educators help students to apply lessons learned through this project elsewhere? The “Social ePortfolio” for Learners and Educators by Caitlin Duffy is licensed under a Creative Commons Attribution-ShareAlike 4.0 International License. I like your second question a lot. In coming back to graduate school, I had the reverse problem (sort of); I write fiction as well as in my journal and online and a lot of my personality bleeds into my writing. This makes writing academically difficult for me because it feels like I’m shutting off a part of myself the way you adjust the levels on an equalizer for a stereo system. I got through last semester just fine, but really felt I was stifling my voice. Then I took this class and my other online class. In the beginning of this semester, I felt paralyzed in the sense that I couldn’t write, partly because I found the material daunting at first and partly because I just felt like I didn’t know my own writing voice anymore. It freaked me out, like a weird form of writer’s block. But with time and patience and feedback, I’m learning to balance my writing voice with a more academic tone, to the point where, like you, I’d like to continue my blog and write about topics like the ones we’ve covered in class not just to have material to publish, but because I really enjoy writing this way. So to answer your question, I think guided practice and feedback are the keys to discovering one’s voice through blogging and ePortfolios. I also think the best lesson we can pass on to our students is that writing is not a monolithic enterprise. There are many types of writing for many types of rhetorical situations. If we give them opportunities to write authentically and give constructive feedback, we’ll help our students be better writers and more importantly, independent writers.